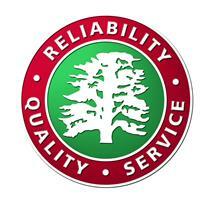 Cedar Garage Ltd - Garage/Vehicle Services based in Worthing, West Sussex. Cedar is an independent garage established in Worthing in 1982 that rivals main dealers with our capability and equipment. The business was taken over by Kevin Pearce and Matthew Copp. Both Kev and Matt trained with Ford before deciding to start their own business, Car Doctors in February 2010. Due to their ever expanding customer base and work load they merged with Cedar Garage Ltd in April 2013 and since then have led Cedar Garage into a new era, investing heavily in the latest tools and Diagnostic equipment and seeking out the best technical talent. We are able to carry out car servicing, repairs, diagnostics and MOT testing to all makes of Petrol, Diesel and Hybrid vehicles, to main dealer standard at an affordable price, but without compromising on quality & brilliant level of service we provide. The team has vast data banks of repair knowledge to carry out all levels of repairs together with the correct tools. We also specialize in areas such as advanced diagnostics, air conditioning, module programming and vehicle electrics. We pride ourselves on great customer service (Check out our reviews) always keeping the customer informed and educated about all the work being carried out. New custom is always welcome and we have regulars who have been bringing their cars to Cedar for over 30 years.